Good Morning! I'm heading out now to take my turn with the shoveling…I think we got about 10 inches, although it looks more like 30! I remember the no boot OR COAT days. how is it 'uncool' to be warm…. it looks so crisp and beautiful. we only got a little bit. kind of bummed. this hasn't been a good snow year for us. Beautiful pictures! Snow here too this morning and I have to laugh about middle school. I know in a few weeks mine will want to wear shorts to school. LOL. Thinking of you yesterday, I have a huge bouquet of pink rannunculus….wish you were here to help me set them up! Beautiful winter scenery and I love her coat! We got about 6 inches of snow last night but I think we missed the worst of the storm. It's so pretty but I really don't like to drive in it. Hope you had a great week, Tricia! What a little cutie! I'm DONE with snow though. We might get more over the weekend. Sigh! You make snow looks so pretty, not for me but with your images make me want to be there. Love the one with the brown leaves on the trees. Beautiful! I love how your lovely daughters bright pink coat pops against the snowy background. Well hopefully just one more month of winter for you and then spring will on its way! 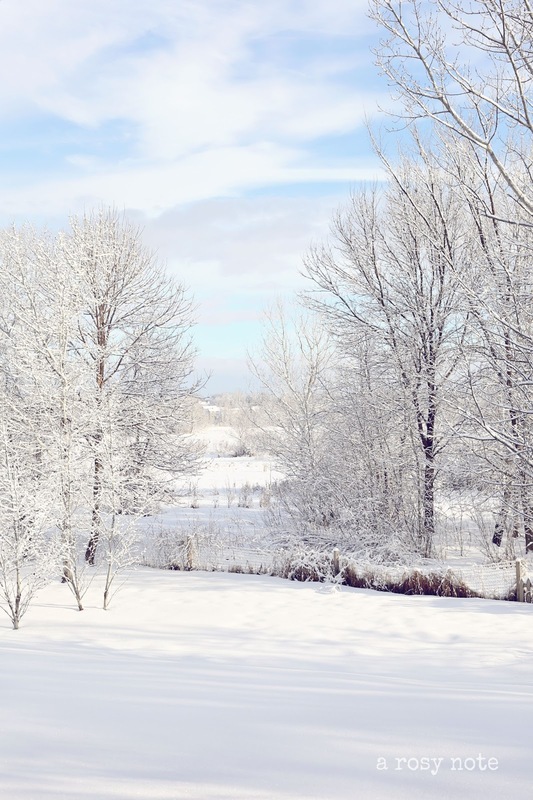 Tricia, your snow photos are gorgeous. Your little girl is precious in her bright pink coat. Great contrast against all that white. Hope spring comes early for you. 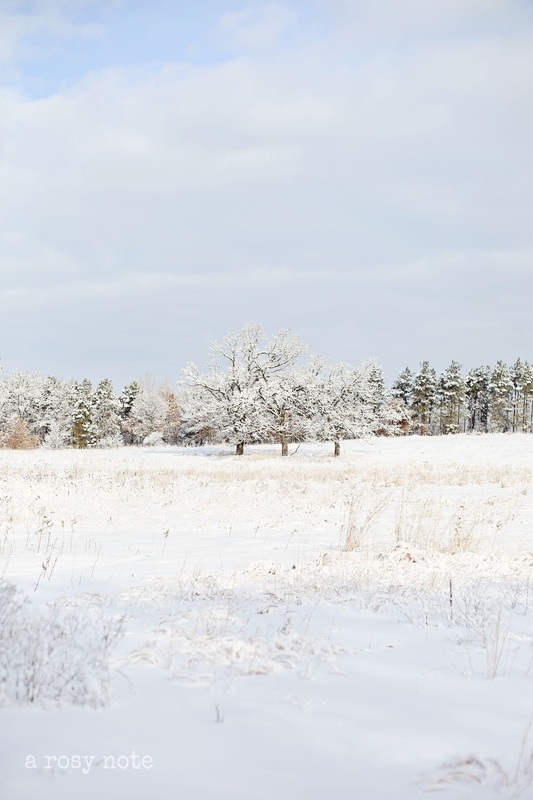 A winter wonderland…we finally got a decent amount of snow last night so I am off with camera in hand today. Your sweet daughter in that pink coat playing in the snow are priceless captures. che paesaggio incantato, sembra di essere dentro ad una fiaba! Won't you be surprised one day when your daughter tells you to run and there really is a wild animal behind you! Your daughter's coat is gorgeous against the snow. Makes me wish I was that young and actually still loved playing it! I'm sure you are ready for spring. Hang in there. inspired to brave the cold and capture the beauty too! gorgeous photos! You sure make winter look beautiful, Tricia. These are such wonderful photographs, and I just love that pink jacket with all of the white. Such a cute little lady! Gorgeous snow pics. We had some snow. I'm ready for it to be gone. Your photos are always so mesmerizing, Tricia! Do you use any photo editing? They're just so ethereal looking! What a view you have outside your doors, too. Just beautiful! NOT want to live in MN? Oh, this is the weather I would expect of Minnesota, but I realize that the "standard" doesn't seem to be standard anymore! These are such beautiful snow landscapes, Tricia…and the bright pink of your darling daughter is just wonderful contrast. These are really beautiful pictures – the snow may be a pain but it does make for pretty pictures. I really love your daughter's pink coat against the white of the snow too. so so sweet….love her pink coat against the white snow. SO pretty, Tricia…your daughter is so sweet! You make our winter look gorgeous! WOW Such gorgeous photos! How i wish i could be there. I really love your daughter's gorgeous pink coat! keep warm sweet friend and love to you!! Your snow shots are breathtaking and your daughter is beautiful. Before you know it spring will be here. Stunning snowy photos ~ where I live we've had hardly any snow this winter! Beautiful photos! I love the bright pink coat on your darling little girl! So cute! Your little girl is so sweet. I love your beautiful photos, you never disappoint. We have snow right now and I am loving it! Spring is just around the corner. Your beautiful blog is delightful!! Just began following you-what gorgeous photography!! Adorable…both you, your daughter…and all of your pretty photos….! Absolutely adorable. Love that you have snow! your shots are beautiful …love the ones of your sweet daughter! Your pictures are incredibly beautiful! Thank you for sharing them with us. I miss the snow. We haven't had any here in No VA in a couple years now. Your first picture is my favorite – so beautiful with a pop of color from the coat. Love it! These are such gorgeous photos Tricia! The pink your darling little girl is wearing just jumps from the photo in a stunning way! You make the snow look so enticing, but I think I have had enough snow for now. I would rather just come by and see it in your photos :)!!!! !But if I were your daughters age, I know I would want to be right out there with her. Thank you Tricia for your sweet comment. You made my day! I am new to your blog. It is so pretty here and I love all of your photos. everytime i come here i think i am walking into a dream. Gorgeous pictures. these are such beautiful photos, what a nice winters day! I am completely envious of all your snow!!! Wish you could send some of that over here!!! Makes for some gorgeous images, methinks! 🙂 Hope it warms up soon and that you had a lovely weekend! Are you not accepting comments on the post above? I was going to enter the give-away and post it on my blog, but it was too much work and I didn't want to complete with literally thousands that I am sure will enter this one for sure!